Elena Bereznaja and Anton Sikhuralidze: "Our feelings are larger than love"
Translation of the article by Sergey Dadigin published in Russian Language Internet Publication "Express Gazeta" on April 26, 2007. The pair of Bereznaja - Sikhuralidze is probably one of the most beautiful pairs in the world of figure skating. Just a few years ago many people thought that it was just a matter of time before Anton would marry Elena. But it did not happen, and now Elena has another fiancée. The situation is a peculiar one, since the other man - British skater Steven Cousins, did not propose yet. But she has decided it all for herself. Elena met Steven with her mother and they liked each other. It was just a minor thing that he did not speak Russian. (Comment by the interpreter - in relations with a mother-in-law it may be a blessing). Meanwhile, the lovers communicate mostly in English. In the middle of summer, Steven is planning to come to Elena in St. Petersburg and possibly at that time they would announce about the upcoming marriage. At the same time they are planning to announce about the completion of their sport careers. They discussed two possibilities - to stop skating altogether and to get married in the fall, or to continue to skate for another season in different ice shows, to earn some money and then to get married. Incidentally, Elena already has an invitation from Averbuch to participate in his show, "Stars on Ice-2." If she accepts it, the wedding will be postponed. But it would be interesting to talk about this issue with Mr. Cousins himself. It seems a little strange that the woman is talking about marriage, while the man keeps his mouth shut. Steven doesn't comment in the press at all on his relationship with the Olympic Champion. On the other hand, Anton Sikharulidze feels that his pair with Elena will fall apart at any time. It was not by chance that he became a politician, joined the United Russia Party and became a member of the City Council of St. Petersburg. Anton is claiming that he is serious in fulfilling his political activities as a deputy. Elena also tried to play politics, but did not get enough votes to join the Council. It is interesting to note that during the process she had to declare her income and she showed a very small income of 180.000 rubles (about $7,200.00) for a whole year. It is hard to believe that a skater of her level who participated in commercial shows, made that kind of money. Speaking of income - Sikharulidze, in a similar declaration, showed that he made 10 times more. But it was not all from skating. He is a businessman as well. He owns a restaurant, "Sphinx" in St. Petersburg and a high fashion watch distributership in Moscow. (Incidentally, Elena owns a café, "Todes," in the city of Nevinnomisk, but formally it is owned by her parents). Anton was always more practical than Elena. He has been a leader in their pair. The pair came about also because of Anton. Previously, Anton skated with Masha Petrova, and they became Junior World Champions. Their future was bright and clear. Elena, who came from the small city of Nevinnomisk was skating with Oleg Shlakhov in a parallel group of Tamara Moskvina. 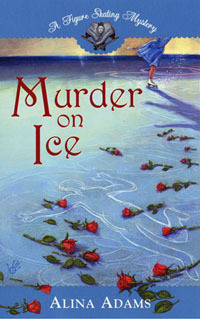 Anton could see that Oleg treated Elena badly and even sometimes in a rage was hitting her on the ice. Furthermore, when the young pair started participating in international competitions and started making some money, Oleg was taking away from Elena's her share. 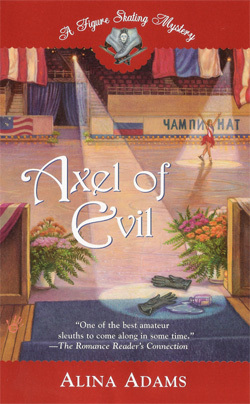 In 1996 in Riga they had an accident where during a rotation Oleg came too close to Elena and he hit Elena with his skate in the temple. She ended up in a hospital with damage to the brain. The first visitor in her hospital room was not her partner, but Anton, who flew in from Petersburg when he heard about the accident. She was happy to see him but could not talk due to the brain damage. Her vision was also affected by the trauma. When she was checked out of the hospital, Anton took her to his parents in Petersburg. He asked his parents if she could stay with them for a while. Anton was 19, Elena was 18, just the time for love. The parents considered the request and found a Solomon's solution - Anton's sister will stay in the same room where Anton and Elena would stay. Actually, it was the only possible solution since they had only a 2 room apartment. This way, the future Olympic Champions lived under one roof for about 8 months. Such touching care of another skater's partner could be only explained by young love. Anton forgot about Masha Petrova, about figure skating and was ready to drop the sport, since the doctors were not sure if Elena would be able to skate at all. 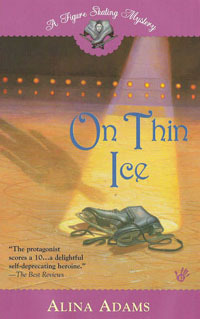 But she overcame her fears and went back on ice and Anton suggested that they would skate together. She agreed and later she was saying that they became very close. It was as if she fond a relative, who treated her well. He was the complete opposite from her previous partner. She was happily looking forward to training with him every day, since they had established very warm, friendly relations. It was a union that withstood a lot of tests. Tamara Moskvina warned Anton: "You have to treat this girl with great care, like a crystal vase". And Anton always behaved like a gentlemen - he was always concerned that he could drop her from a lift, while she was not afraid at all. Exactly a year after the accident in Riga, they went to the European Championship and came back with bronze medals. Then they won the silver at Nagano, at the European and World Championships and finally Olympic gold in Salt Lake City. If anyone cold have predicted that in the Riga hospital, that person would be considered crazy. As one remembers, there was a scandal at the Salt Lake City Olympics. Five judges of nine gave the first place to Elena and Anton and four arbiters gave the first place to the Canadian pair of Jameie Sale and David Pelletier. The Canadians, with the help of the American Press, developed a campaign of hysteria in the press and TV. At the end, Sale and Pelletier were given a second set of gold medals. When Elena and Anton, after extended consultations with the coaches and the management of the Federation of Figure Skating, went back on the podium for the second awarding of the medals, many thought that they should not have done it. They pointed to the Chinese pair, who refused to come out for the second ceremony. But not many people know that by submitting to the second ceremony Elena and Anton won in the long run. There at Salt Lake City they signed a very profitable contract for participation in "Stars on Ice." The culmination of that show was a unique number where both competing pairs acted together. If Elena and Anton would not agree to the second ceremony, most probably they would not have gotten the contract and the Canadian pair would have it alone. Coming back to the subject of a relationship between Elena and Anton, we asked why Anton, who so lovingly treated Elena, had never proposed to her? What interfered? The skater did not give a direct answer. He said: "The main thing that we have between us is mutual understanding. Innuendos, gossips and double talk are not for us. Now we are like a brother and sister. I think that it is larger than love." I am a national figure skating judge and it was so evident that the gold medal belonged to the Canadians in the first place. I am a great fan of Anton and Elena but I really don't think they deserved a gold medal in Salt Lake City. My opinion was unfortunately totally opposite to urs.I think the only champion of Salt Lake City belongs to Elena&Anton. S/P was great,no mistake ,but also no deep character and their "love story " almost have used for 2-3 seasons.I dont know if that oly was held in other place rather than north america,the result would be the same like that !